The events carried out in Castelraimondo are the most intense moments of sharing throughout the month. Students have the opportunity to share their culture, comparing it with Italian culture and with their classmates’ culture. 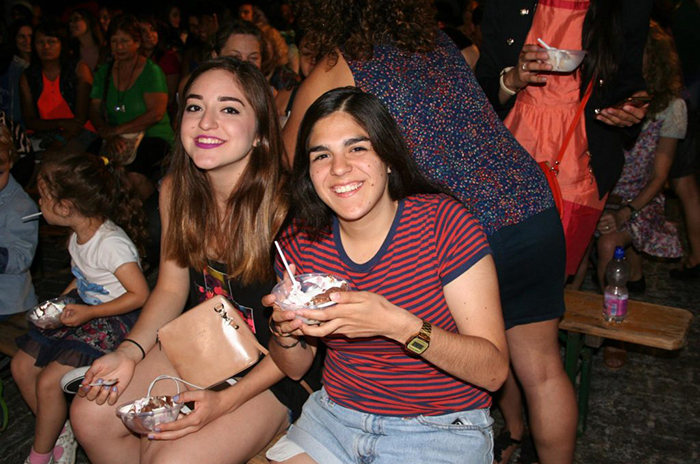 Queen of the parties is “Let’s toast with the world”, a “summer party” where pupils, together with the people of Castelraimondo, make music and food typical of their countries and share it with Italians. All school events have the goal of teaching the language and have fun together. Musical evening to discover the history of Italian music with our professors and our director / singer, special surprise guests and good Italian ice cream. Great ending dancing with DJ Giorgia’s music! Each class accompanied by a teacher will perform in a real show. 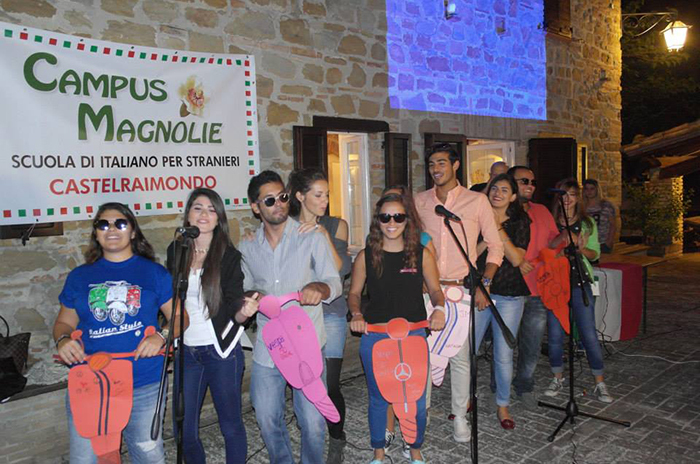 Choreographies and songs for an event featuring Italian music where our students are the stars. Students propose, prepare and explain the typical dishes of their country, then eat all together around an intercultural table. They will be judged by three judges who are always happy to taste good international cuisine. A convivial moment in which students meet their classmate and our staff. An ‘aperitivo’ where you can enjoy good regional products and other delicacies. At the end of the month comes the time for good-byes, reflections and comments about a month’s full of incredible experiences and new friends. The lunch, offered by the school, ends with a lottery that can make you win unique prizes. It’s the much awaited moment where you can see the result of an intense and exciting course. The ceremony will be full of photos and smiles and often also tears and good-byes.